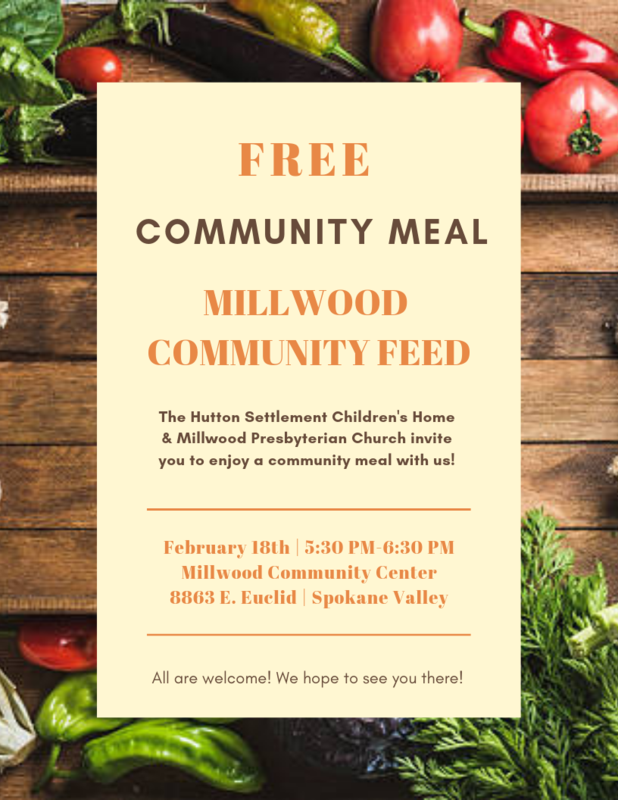 The community is invited to a free dinner on February 18, 5:30 to 6:30 p.m. at the Millwood Community Center, 8863 E. Euclid. The community event is sponsored by The Hutton Settlement Children's Home and the Millwood Presbyterian Church. All are welcome.